"Dr. Haller is wonderful, she takes the time to listen to me and my mother about any issues. She really cares." "Dr. Haller is wonderful. She took her time and answered all our questions. She shared a story of a similar problem her own child had. She reassured us and we feel we finally found someone to help our daughter. " "We have never encountered a better physician than Dr. Haller. She is truly the BEST." "The GI is very nice and caring towards my child and us." "Dr. Haller was excellent in communicating with the entire family, very knowledgeable and personable. She returned calls and welcomed follow-up calls to the parents Very pleased!" 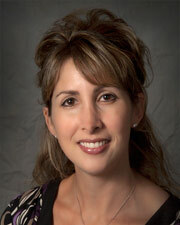 "DR Haller is extremely ______, and caring and she makes our ______ and she makes our visits very pleasant." "Dr. Haller was wonderful! She was so good with both my daughters." "Insincere & minimized ALL concerns." "I was initially disappointed that gastro MD, we had been seen by no longer at LIJ. Once we met Dr. Haller we are perfectly at peace with this. She was so kind, explanatory & encouraging!!" "Seemed proficient but personality a LITTLE less warm than expected for pediatric doctor. Prefer super warm doctors for my child! #7. Really??" "Already recommended to a friend & they scheduled an appointment with Dr. Haller."